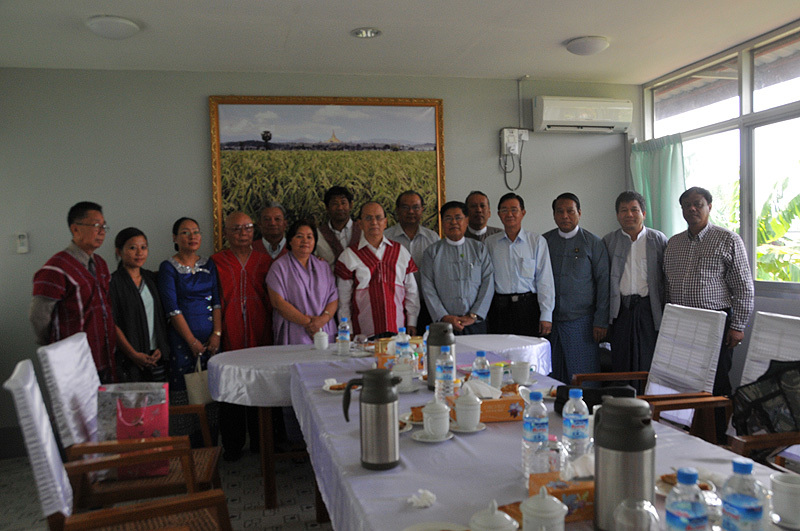 The Karen National Union’s peace talk delegation held an informal two-hour closed-door meeting with Burma’s President, U Thein Sein, in the country’s capital, Naypyidaw on Saturday. The KNU’s general secretary, Naw Zipporah Sein, told Karen News. The KNU’s, Naw Zipporah Sein, also said she asked the President when the government will stop slandering the Karen political organization and its armed wing the Karen National Liberation Army as been illegal. The KNU delegation members who met with Burma’s President in Naypyidaw on Saturday, included Naw Zipporah Sein, Saw Htoo Htoo Lay, General Mu Tu Say Poe, Saw Roger Khin, and Saw Ta Doh Moo.